I'm back again with another beauty review! And Flashmob is also back again. 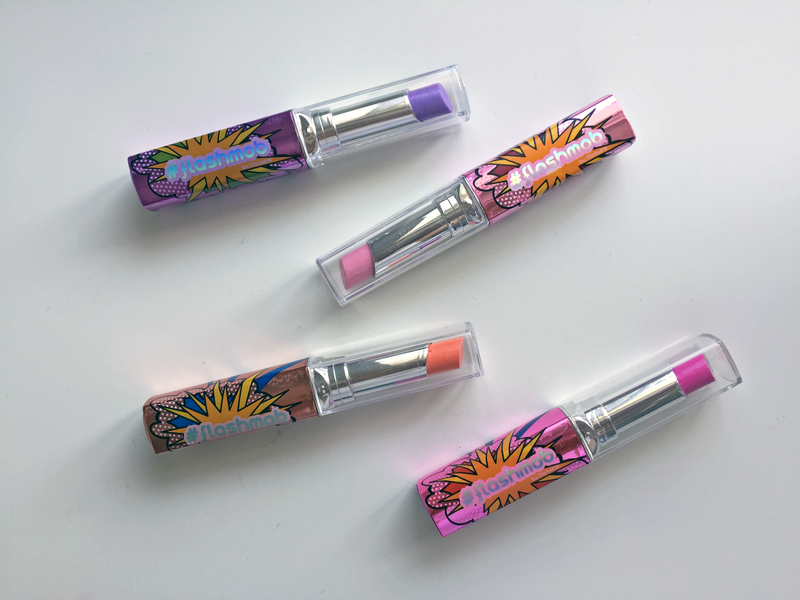 You might have seen my other review of their Hair Chalks, but today I am reviewing their vibrant and bold Electric Kisses shine lipsticks. Flashmob are known for their out-there colours and being a minimalist means I always need a pop of colour in my life. The lipstick's come in a set of 4 including 4 different shades; Bright Pink, Pale Pink, Purple and Coral. The packaging reminds of a comic strip, and it definately links to their name 'Electric Kisses' and the four individual names 'Gravity On Mars (coral), Walkin' The Dead (Bright Pink), Seeing Fireworks (Pale Pink), Talkin' Smack (purple). The scary thing about bright lipsticks is the look of them, you don't want them to be too sheer, you don't want them to dry out your lips or you worry about them being difficult to get off and sometimes you fear you'll smudge them all over your face. After trying these out for two weeks, I can honestly say these lipsticks are creamy rather than chalky. So they didn't dry out my lips at all, they were really easy to put on. At first I thought they were going to be sheer but after applying again, I can tell you now - they are BOLD! Of course, the two darker pink and purple tones were a lot more bolder. However, the other two colours still had an effect. I tried these on without putting any foundation on my lips, so I reckon if you put primer or a little bit of foundation on first they would be even more bolder! I do admit that these lipsticks aren't something I would go to everyday, I think you'd have to be a bit more daring and brave to do that - I also don't think it would match my natural makeup look. But these are going to be kept in my makeup bag for those fancy dress, neon, halloween parties. These would also be perfect for a colourful photoshoot. Overall, the quality of the lipsticks are great AND THEY ARE CRUELTY FREE! 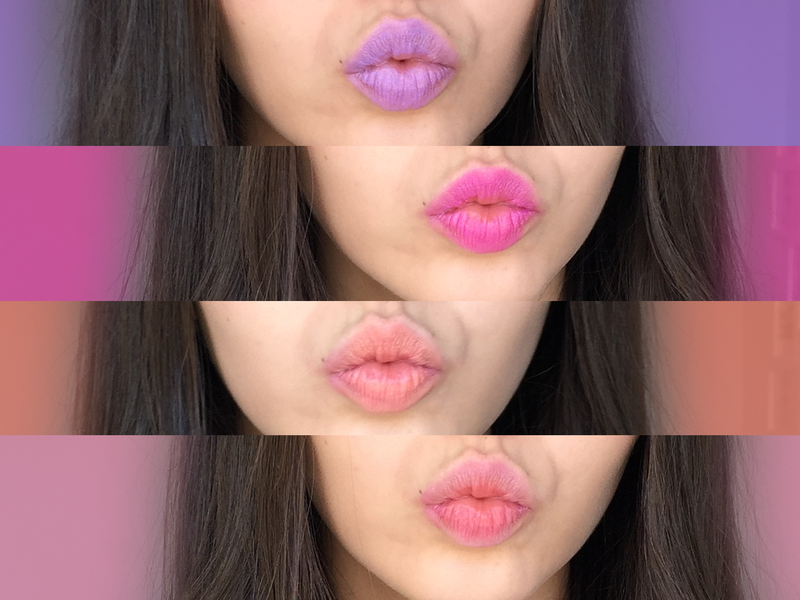 Have you ever tried any vibrant lipsticks?